MoveCenter works within exacting GSA service and pricing requirements to deliver outstanding relocation services. As an experienced government contractor, MoveCenter’s GSA division provides relocation services for government agencies and all branches of the United States Military under GSA Schedule 48 (SIN 653-7) & CHAMP program. Our contract number is GS33F-0003M for The Move Management Center. In business since 1963, we are pleased to announce that in 2017 the GSA renewed our contract for an additional five years, the maximum allowed contract renewal length. Our relocation services are customized to meet the government’s regulatory requirements. Whether you’re moving employees or an office, we can help. MoveCenter works within exacting GSA service and pricing requirements to deliver outstanding relocation services. 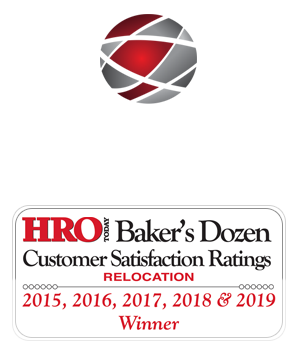 Our goal is to enhance productivity and improve the morale of your employees while remaining compliant during every phase of the relocation process.